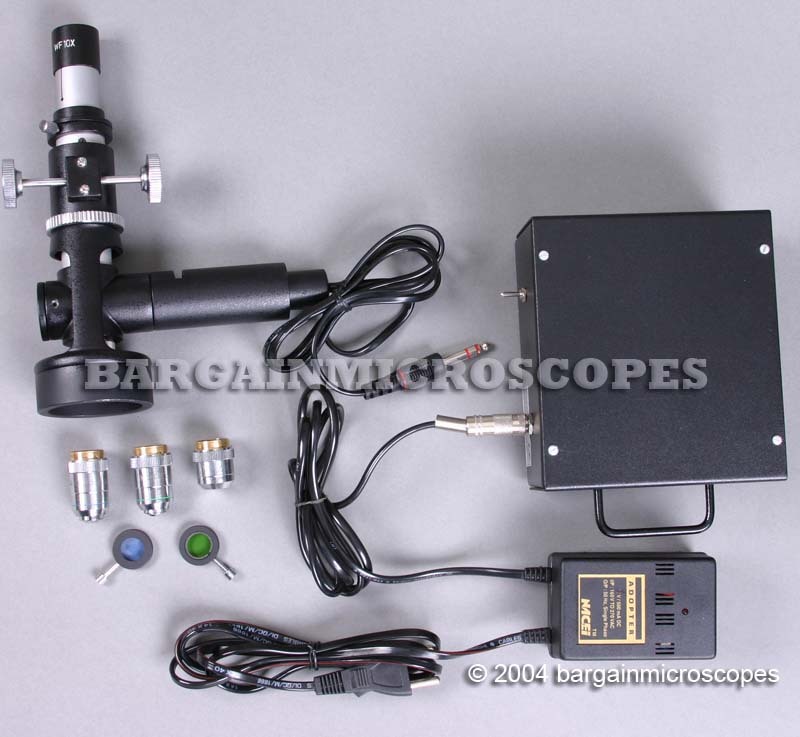 Portable Metallurgical Metallographic Field Microscope. Rechargeable Battery Operated Light for Maximum Portability. Simple to Operate and Lightweight for ease of transporting. 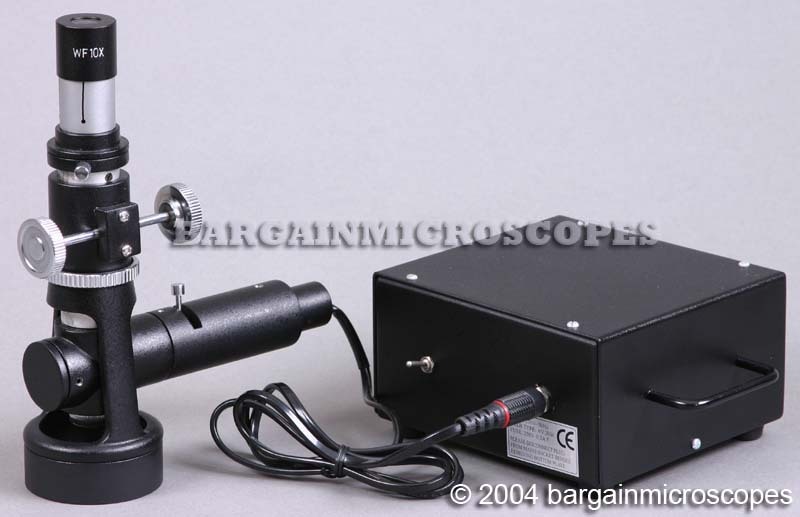 Great for Field Inspection of Metallic Grain Structures and other opaque specimens. 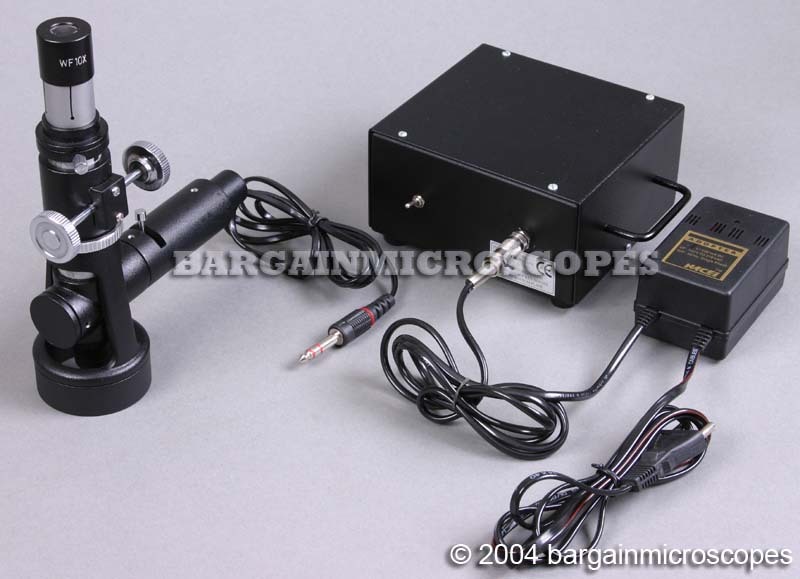 Metallurgical microscope for imaging of metallic and opaque specimens. 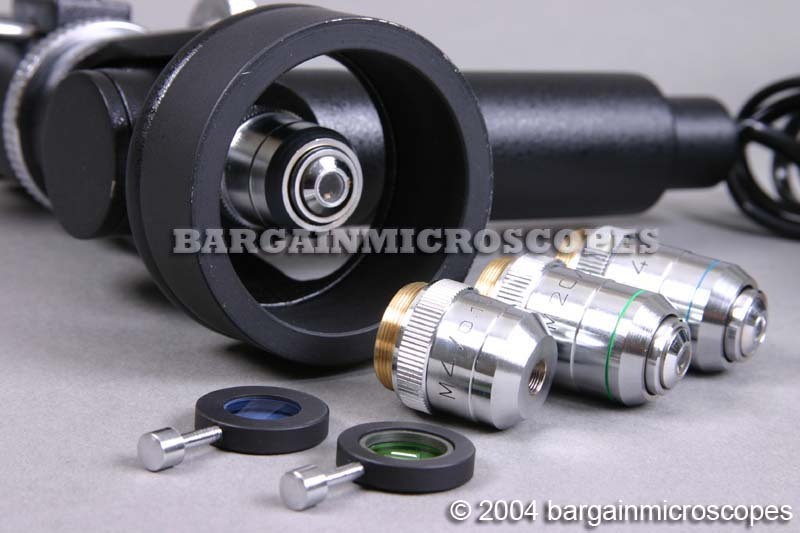 The Focusing Knobs Raise and Lower the Scope’s Objective. 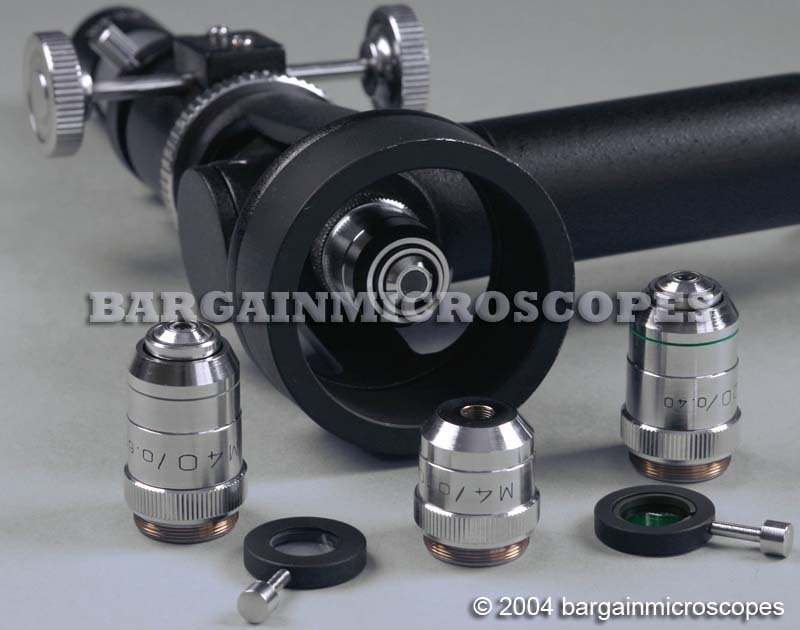 This allows viewing of a flat surfaced specimen placed below the Scope. 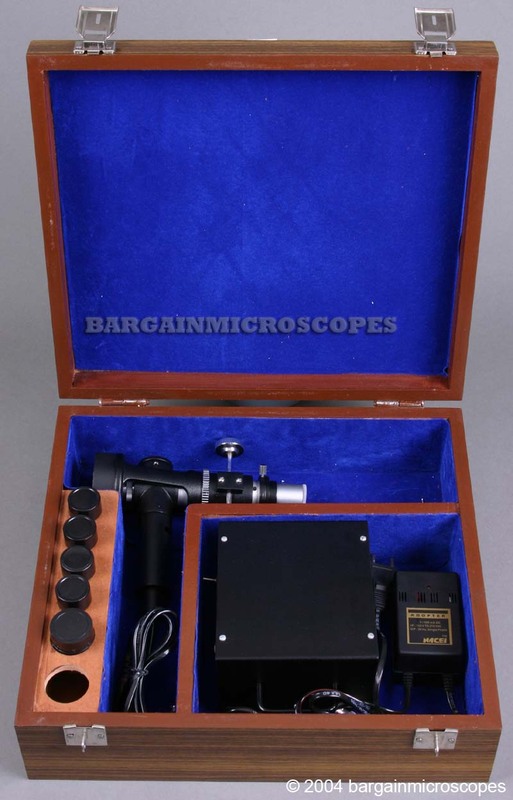 Comes with Dust Cover, Lens Cleaning Cloth, Extra Bulb, and Wooden Storage Case.